Thirsty Pilgrim: Emptying the Cellar. We could have tried to pack it all, but it would have sat on a warm, sunny dock in Puerto Limón for a few months. Not ideal. We could have tried to ship it all, but too expensive. And anyway, neither option is nearly as fun as trying to drink it all. Making a clean break, you know. It hasn't been easy. We had a gathering Saturday and put a good dent in it... but just a dent. Anything to get more of these bottles put away. Properly. As in, I'd still like it to be appreciated. Mostly by me. Pictured: The kind of strange thing that can happen when you empty a cellar. 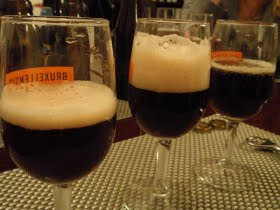 A vertical with one-, two-, and three-year-old Westvleteren 12's. The one-year-old won, I think. 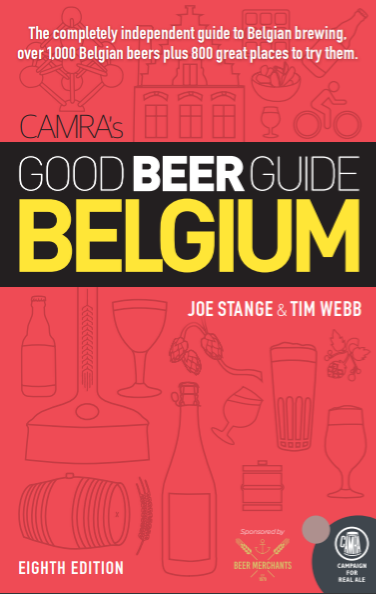 Thanks to Jim for bringing the three-year-old, from our original batch we split soon after we arrived in Belgium. Emptying the cellar is the only moving task I can truly get behind. Courage!